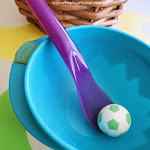 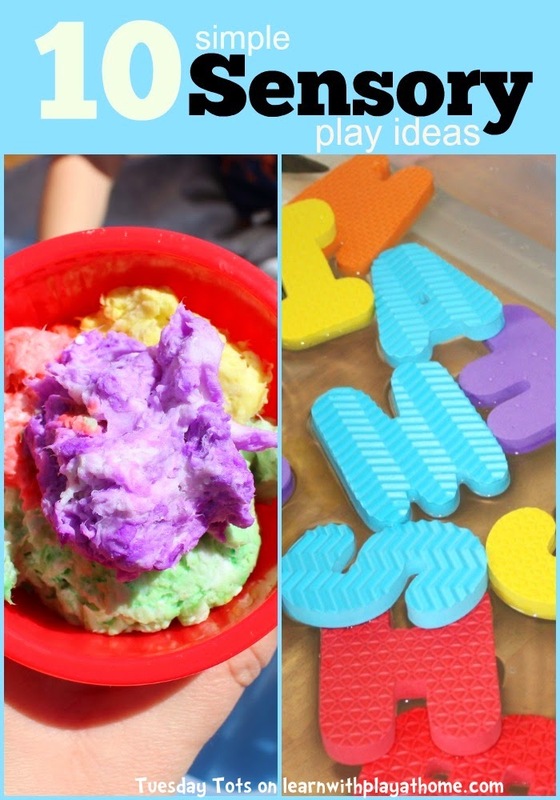 "10 simple Sensory Play ideas"
Currently, my son (aged 2) is completely mesmerized by sensory play. 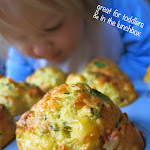 He is particularly interested in the sense of touch and the squidgier and squashier (and messier) it is, the more he enjoys it! 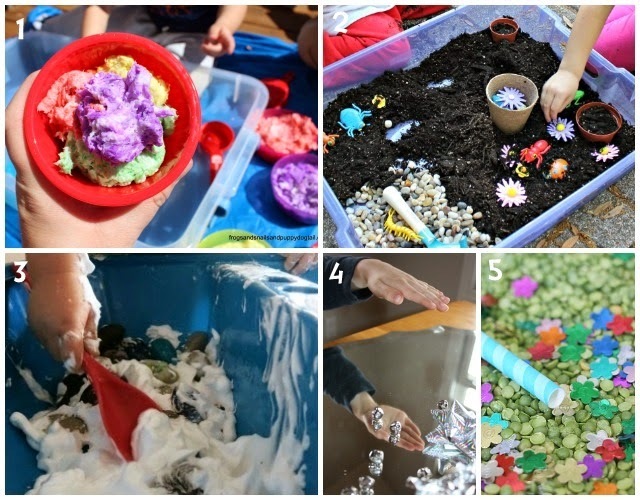 Sensory play isn't just all messy play though. 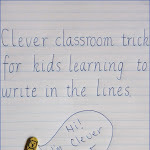 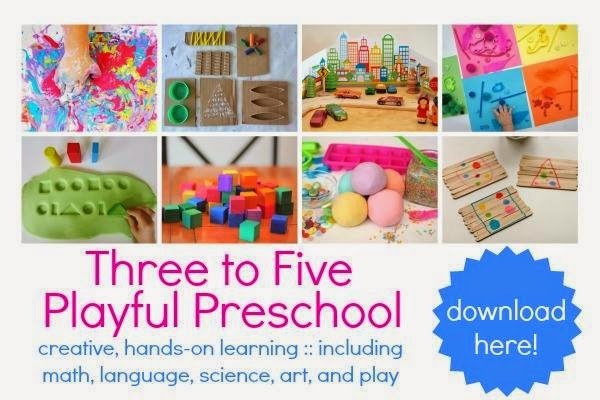 It includes activities that allow children to explore through their senses, including sight, feel, smell, sound and taste. 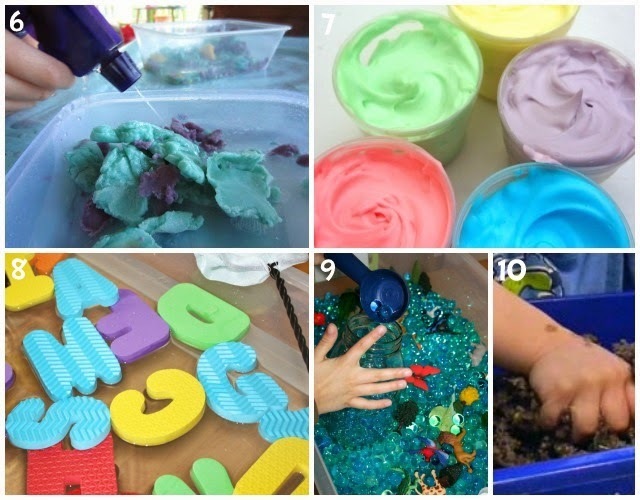 It is through sensory play that children learn and discover more about the world around them. 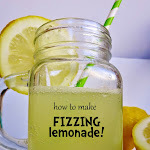 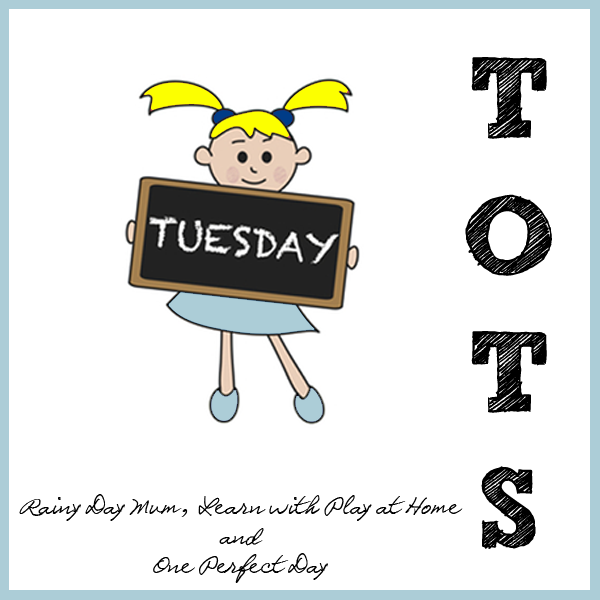 Here are a collection of 10 simple ideas from last week's linkup, that cover various senses and use materials that most of us have easy access to. 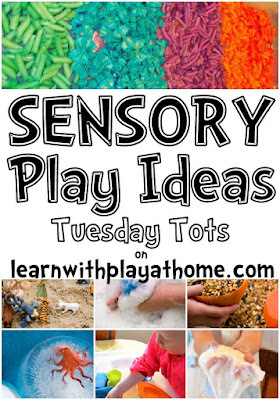 Here's another post full of Sensory Play ideas!